Starting a new thread here. I have been using the nice new search function to search this site for the DIY LED builds in an effort to put together some kind of 'best practice' thread so that a set of standards can be narrowed down. It seems that LED comes with it's own set of rules that differ in many ways from the norm of the past. DIYing LED is not as hard as you think it is. I haven't built a fixture for myself, but attended a local club meeting where we got a chance to see how to do it in person. Anyone with or without soldering and wiring skills can do this. It seems that it is definitely the way to go. In my opinion, based on observations I've seen on here, CFL and T5HO are over. The benefit to cost ratio of LED over anything else seems to be through the roof, especially considering the new feeding-based screen sizing guidelines. If you have already started a thread with all this information, please post 1 through 5 here and then provide a link to your current thread. Some of these LED threads are long, and some people (rygh) have half a dozen threads, and some with many, many pictures. So I would like a summary of your system here, and feel free to re-post the pictures here if you want to, otherwise link to your thread. With that being said, I have figured up a few basic needs, based on threads I've read, information I've gathered when designing my custom-built fixtures, and questions I've asked. Minimum of one 3W 660nm LED (operating at 2W) for every 15-20 square inches of screen. That is an area between roughly 4" x 4" to 4.5" x 4.5". Perhaps a simpler standard would be to say you need one on each side for each cube of food per day, or 12 square inches. The mixture of different colors should definitely be limited to 660 (deep red), 630 (red), 455 (royal blue), and 435 (violet blue). 660 and 435 are the Chlorophyll "A" band, and 660/455 are the "B" band. I recently stumbled upon one possible reason you want to focus on the "A" band: this light band is utilized the most by chlorophyll during midday when sunlight is the most intense, and the "B" spectrum is for when the light levels are lower, like during the morning and evening, when the earth's atmosphere reflects or filters out most of the "A" band. So as it turns out, "B" stands for "Backup" haha. Anyways, it appears based on this that the anecdotal evidence suggesting 660nm Deep Reds are most effective is most likely true. Thus, 660nm Deep Red LEDs are the DIY choice. With this being said, there is also a NASA study (which I have heard of, but never actually seen) that showed that chlorophyll absorbs red and blue in a ratio of approximately 6.5:1 red:blue. So throwing in a blue helps, but is not necesary. Rygh reported that the addition of a single blue to an existing arrray of red did not so much cause an increase in growth as it increased the [i]strength[/] of the algae; thickness of individual strands increased and algae was more strongly attached to the screen. The problem is that in such a low ratio, if you have a screen that only needs one or two reds, adding a blue would usually require a separate channel that could be dimmed appropriately, and this adds another level of complication. I would appreciate input from the DIY LED experts on how to easily accomplish this. Meanwell dimmable driver or a non-dimmable driver and some other method of dimming. The need for this depends of how you build your light fixture, and how close it will be to the screen. Could use some input on this one. To me it seems that it would be a lot easier to dim the LEDs if they are too intense, even with a reduced photoperiod. my point being that it would be nice to be able to easily adjust the system as necessary without having to tear things apart. Trying to think of features that the average person can use and be successful. Also a DIY driver is not out of the question. Like I state above, I'm really looking for some good options for multi-channel drivers with dimming, and the simpler the better, off the shelf preferred, and of course low cost and easy to DIY. I've seen a couple threads with good, cheap heatsinks. I would opt for a large heatsink for passive cooling over a smaller one with a fan. Another consideration for this might be increasing the density of LEDs per unit screen area and running them at a lower current. LEDs get more efficient as you dim them (lower total output, but higher lumen/watt ratio) which means less wasted energy = less heat. But http://www.heatsinkusa.com/ seems to still have some pretty good prices for what DIYers would use for a scrubber based on the feeding guidelines. Under $11 shipped for a 4" x 4" sink with 3/4" fins for one 3W LED is pretty darn cheap. $17 for two! Ok, that's what I've got just off the top of my head. 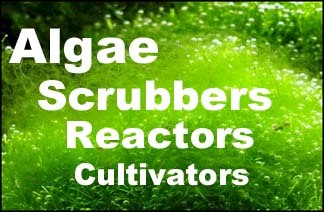 So let's hear some info and turn the Algae Scrubber world on it's head! Ok, hopefully there will be a flood of input coming on this. I just blasted the link to this thread on a couple dozen LED threads. AFAIK, Cree does not make a 660nm LED. I could be wrong, but last time I checked, it was Osram, LedEngin, Bridgeluxe, Epistar, etc that you had to choose from. Good good point on the CFL comparison. I wonder about T5HO comparison. The other thing that I am trying to pin down is related to the new double-light guidelines. Since LEDs don't waste bandwidth, a watt does not equal a watt anymore. So 1/5 wattage may be related to some correlation, like only 1/5 of CFL is really effective bandwidth, which is why you only need 1/5 the wattage of LED. Then again, people are getting all-green growth from that 1/5 wattage, so what does that say? Might it be that the absence of non-useable light is causing the absence of non-green growth? Since green growth is the most effective, could one not say that 1/5 of the wattage of normal level CFL is equivalent in filtering capacity to a double-lit CFL screen, meaning that LEDs are actual 10x better? This is why I would like to gather and pool as much real-world information as possible on this thread. Thanks ahead of time to all who respond and take the time to post details about their experiences. Cree does not make 660nm as of my last research. I am testing two LED scrubbers right now. One is very close @ 1.5" w/o optics and the other is @ about 4" w/optics. Both of my scrubbers are using the china LED's and drivers. It does appear that the wattage is about 1/5 to 1/3 less then gas filled bulbs. 1) My advice is actually to use warm white or neutral white instead. You get a lot of blue that way anyway, plus some other possibly useful spectra. Plus, they are really cheap. 2) Run reds in series, but whites in parallel. So even though you have the same number of LEDs, you actually have a 4:1 R:W ratio. Note that they have to be the same exact led for that to work. 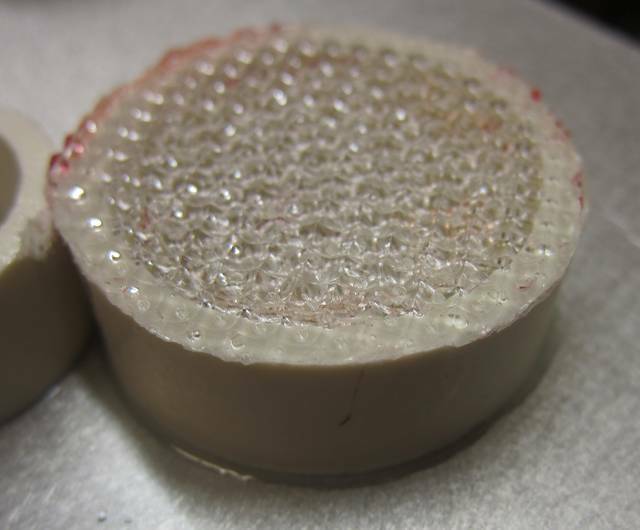 3) Glue some diamond diffusion plating to a small piece of pipe, and put it over the blue. Cuts it a bit, and spreads the light around nicely. Koltec, do you have a link for where you got the 1W reds and blues?